The AUD (and the other commodity currencies. The US infrastructure expansion is a theme for 2018) is the strongest, while the USD (followed closely by the JPY and the CHF) is the weakest. 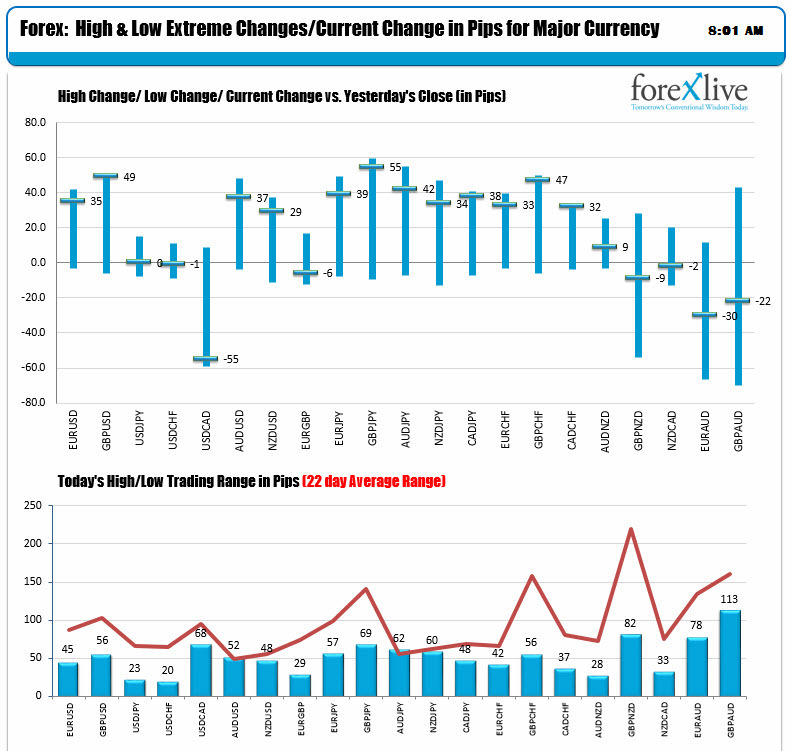 The changes and ranges snapshot shows the commodity currency pairs (and cross currency pairs) are trading near extremes. The EURUSD and GBPUSD are also near high levels (and have been moving higher. 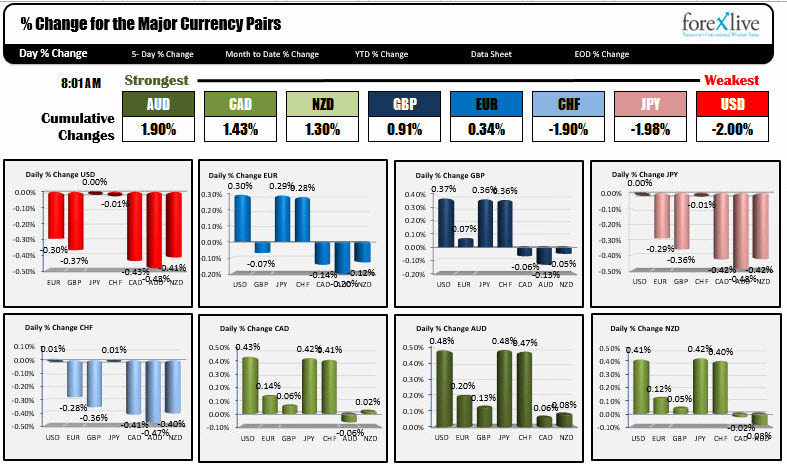 The USDJPY and USDCHF are the pairs that are taking the day off (at lease so far today). The ranges for them are in the low 20 pips for the day so far and they both trade near unchanged levels. WTI crude oil is down -$0.41 or -0.68% at $59.56. Yesterday the contract breached $60. US major stock futures are trading near unchanged levels.. The S&P futures are up 2 points. The Dow futures are down -8 points. The Nasdaq futures are up +2.25 points. Conference Board consumer confidence for December will be released at 10 AM ET, 1500 GMT. The expectations are for a fall to 128.0 versus 129.5 last month. The present situation came in at 153.9 last month. The expectations came in at 113.3. Also at 10 AM ET US pending home sales for the month of November are expected to decline by -0.5% after a 3.5% gain in the prior month.